I’m crazed!!! I don’t know if it’s because I’m a Pisces or just simply deranged — I am so easily influenced that It is extremely hard for me to stay on my own path. And in the age of social media, it’s even more challenging. Every day I see beautiful examples of incredible artwork — and my mind busily compares and evaluates — and then proceeds to beat me up. I should be painting more from life, I should be painting abstracts, I should be working on my portraits — on and on and on!!!! Anyway — when I saw the 30 day challenge I considered it, then when I saw Dottie Leatherwood’s post about using it as a way to help the hurricane victims, I was on board!! Yes I had already donated to the Red Cross, but maybe this would be a way to generate some more to donate. This is day three of the 30 day challenge. After spending 2 – 3 hours painting, then another hour posting on all the various social medias and websites, then another hour cleaning up so I can go on to do other work —-I’ve realized I can’t and don’t want to do this this time. I’m sorry Dottie! I just can’t keep up with you! You’re frigging amazing with all you take on and accomplish! I’m proud of you! But I’ve realized I have to stay on my course — hard as it is for me to even find the way — and this feels like off-course for me at this time. Good luck to all you who are doing the challenge!! I wish you all the best! I’m back to trying to find my own path and continue to learn and grow as a painter and a person. 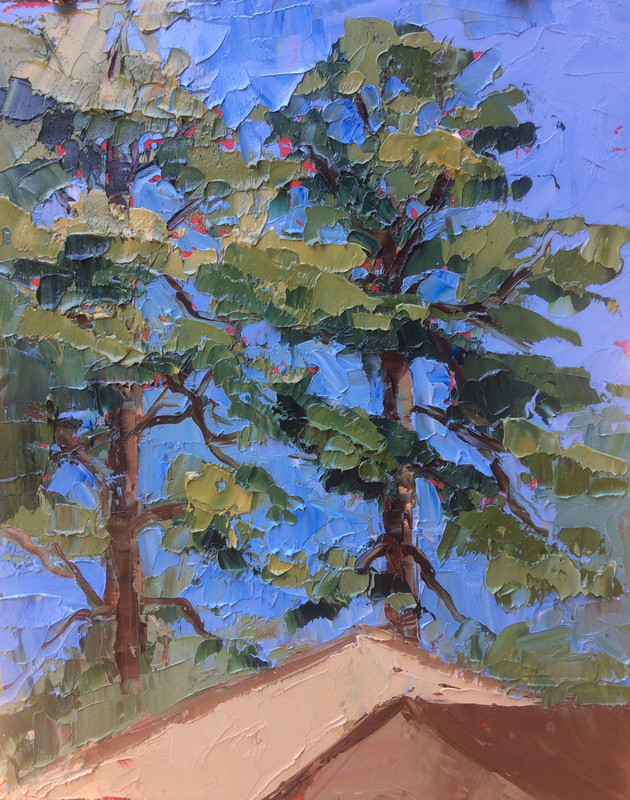 This entry was posted in Palette Knife Painting, Strada Easel Challenge on September 3, 2017 by Robin Wellner.